W21C is a not-for-profit research and innovation initiative based in the University of Calgary and the Calgary zone of Alberta Health Services. The organization provides research facilities and programs such as the yearly Innovation Academy to advance medical technologies. 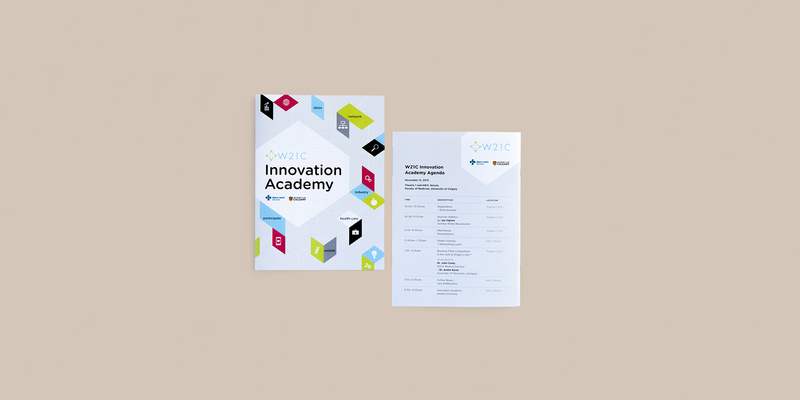 For each of these events, a unique design strategy and direction extended into numerous materials including banners, posters, program and online media. Since successfully implementing the strategy, the design direction continues to develop and become a guide for building the W21C brand.